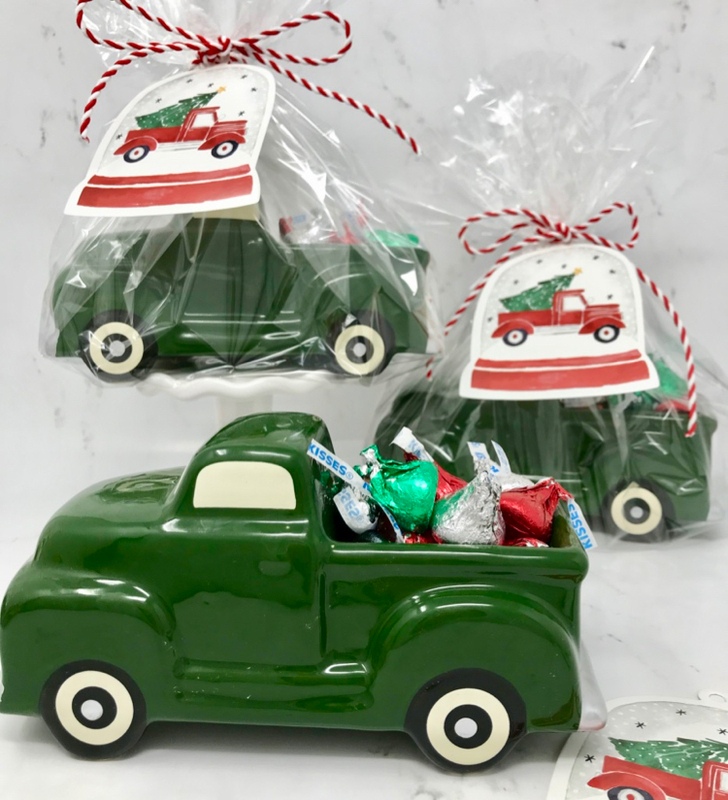 I knew when I saw these green trucks as part of the Halloween and fall Dollar Spot clearance that I was going to use them for some inexpensive Christmas gift giving. 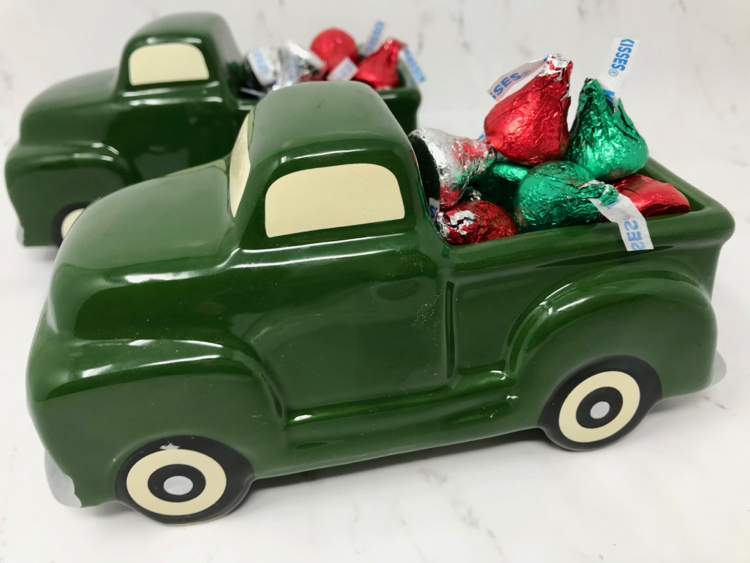 I purchased the trucks for only $.30 each (reg $3.00) at the beginning of November. My final cost for each gift was around $1 each! I love how shopping the seasonal and holiday clearance can make gifting thoughtful and inexpensive. When I saw these Christmas tags in the Dollar Spot I knew they would be the perfect tags to attach to the gifts. 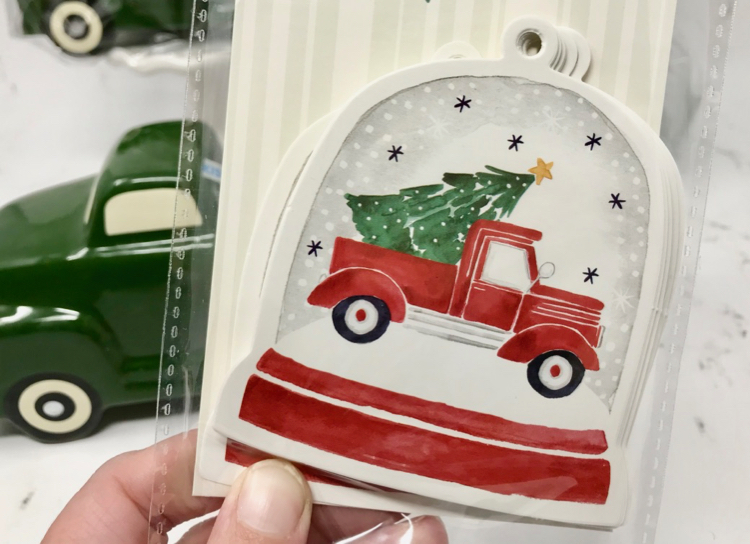 These Christmas tags are priced right at only $1 for 24. I was originally going to print out my own tags that said “Sending you loads of holiday wishes”, but I just wrote the sentiment on the back of the tags. Easy peasy! Here’s what I used to make these gifts. Putting the gifts together was super quick! You’ve gotta love quick and inexpensive gifts that are cute too. 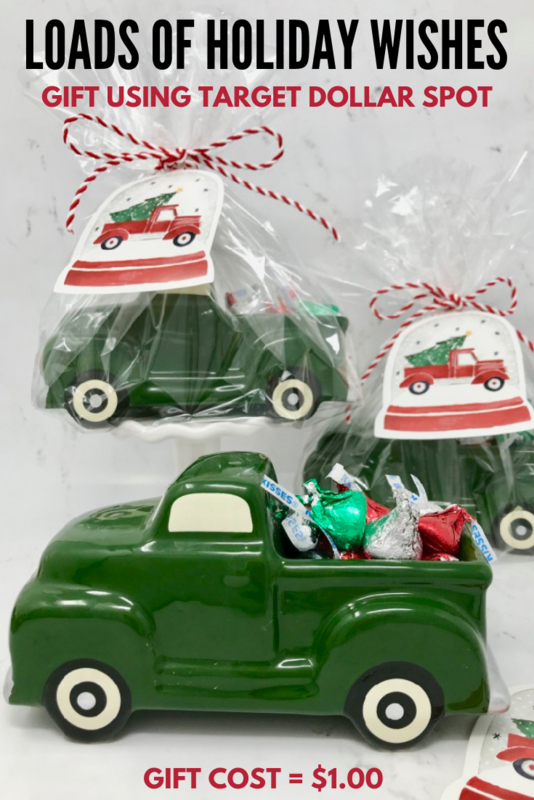 I added Hershey Kisses to the back of each truck, wrapped in cellophane and attached the tag. I love that I have these all prepped and ready to go for gift giving. I hope this gives you some inspiration to think outside the box when it comes to Target seasonal and holiday clearance. 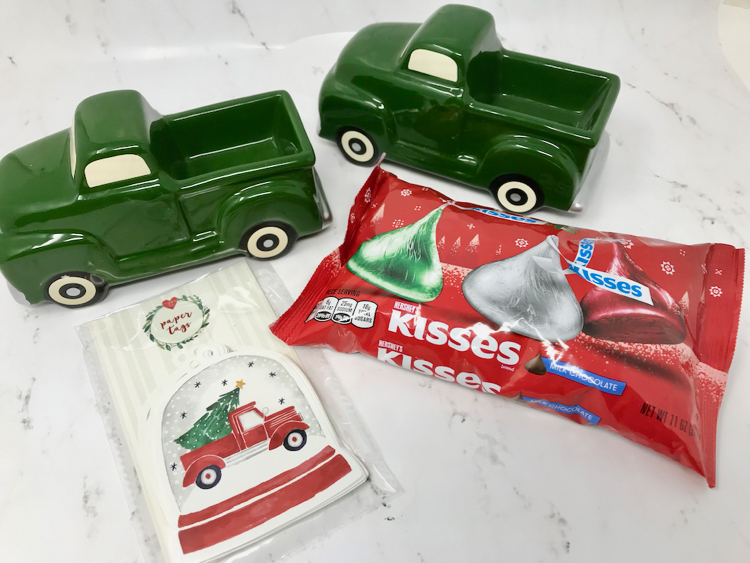 For even more ideas, check out my post where I share several ideas of item I have gifted using Target holiday clearance. I don’t seem to be able to find them. Can you provide any help?